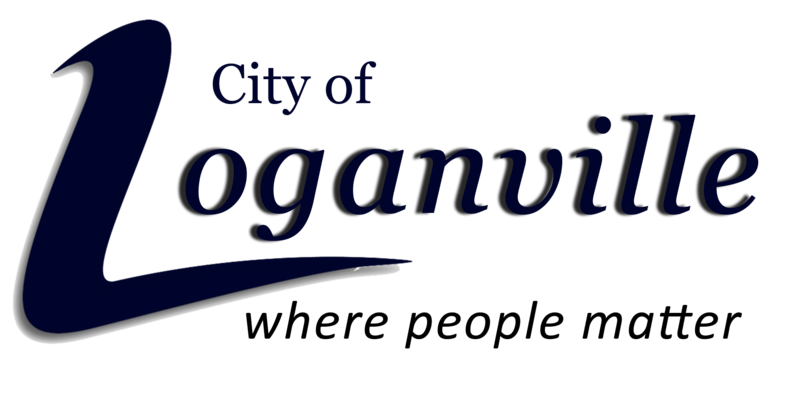 The City of Loganville took its name from James Harvie Logan, who moved to the area from Tennessee in 1842 and purchased of 62.5 acres described as Land Lot No. 186 in the Fourth Land District for the sum of $150.00! Logan was a farmer and shoemaker and built the family home with the help of his son, James Harvie Logan, Jr. During the next several years as other families settled in the area, the population swelled to about 500 residents. Loganville was first incorporated in 1887 with its original limits extending a half mile in every direction from the well pictured here. The years brought both growth and change. Cotton was no longer king after a bout with the boll weevil which swept through the area. "old buildings have all been replaced by modern business structures: a new bank building, doctor’s building, American Legion, cafés, motel, theatre, cotton warehouse, gins, and many lovely residences. The streets have been paved, water works and sewage systems installed, electricity, gas and manufacturing plants built. Nothing adds more to the name of a town than its churches and schools. What more enduring monument could a man desire that his name and memory be linked with the destiny of a town populated with intelligent, cultured, patriotic and resolute citizens, a majority of whom are united in an endless endeavor to render (Loganville) a highly desirable location for the home-seeker, the manufacturer and the enterprising businessman. Loganville shall continue to grow and expand through the coming years and stand as a monument to the wisdom of the man who selected this place as a site for a town."